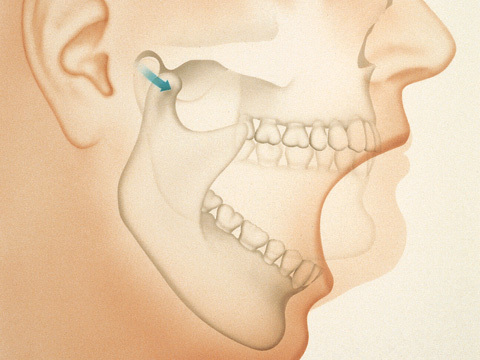 As the jaw opens, the jaw moves in 2 ways, first a rotation and then a slide forward. A disc of cartilage is normally present between the 2 bones to protect them. If this disc is worn or moves out of place, a clicking or grinding can be heard as the bones contact each other. This may be completely painless and may require no treatment, other than monitoring. In more severe cases, however, hard splints may be used to help, or referral to an oral surgeon for their help.